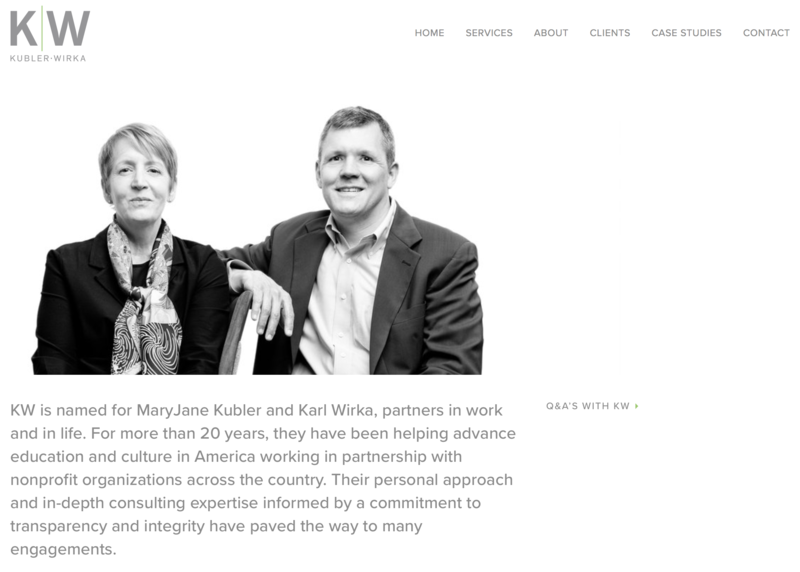 When the nationally-renowned nonprofit and education consulting and advising firm KublerWirka set out to launch a new website, they turned to Skelton Design to help update the look and message. 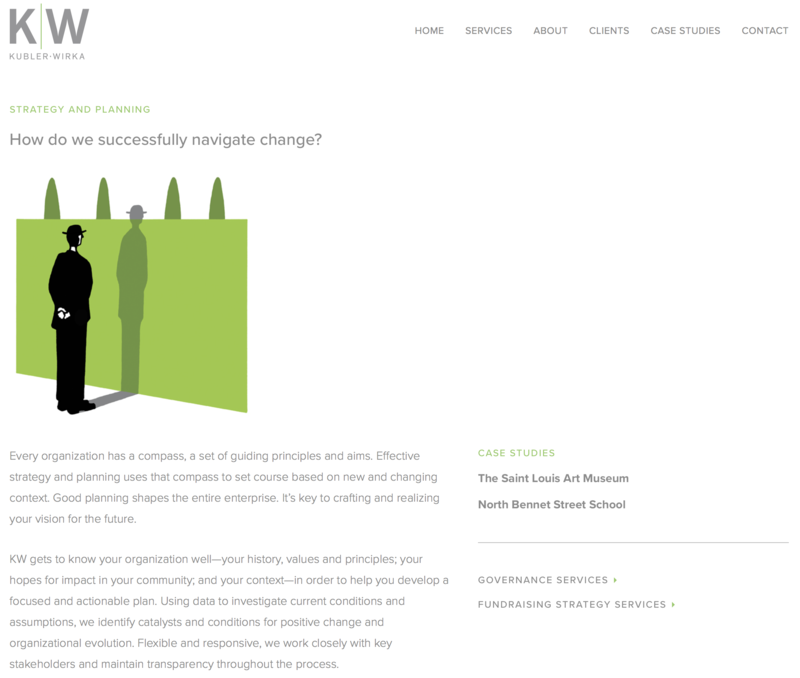 RGWE was retained to develop a positioning and messaging platform and write the website. Their practice is built on asking intelligent questions, so we adapted the same technique to the content and began each section with a compelling question relating to their areas of expertise, which are many. 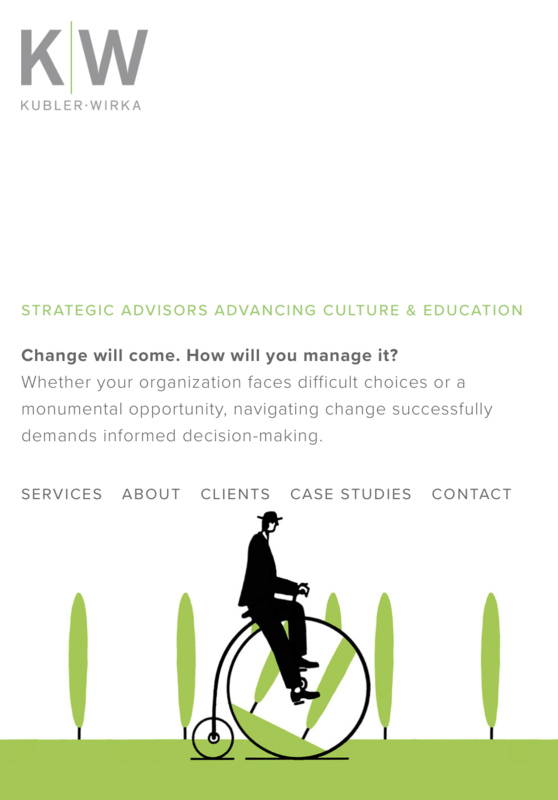 "Whether your organization faces difficult choices or a monumental opportunity, navigating change successfully demands informed decision-making."